One day you go to shower in the morning and the water is cold, or your kitchen faucet is leaking or worst come to worst, your toilet drain doesn’t work and water overflows. What to do? Well, first thing to keep in mind is how we use our household plumbing installation. It is very important to carry a responsible plumbing maintenance work. It doesn’t take that long to remove the hairs that have fallen off while brushing our hair, does it? Cleaning routines like this are vital to prevent clogged sinks, as well as do not throw napkins or sanitary towels into the WC is essential to avoid clogged toilet and draining problems. Also, we must be careful with rests of food when it comes about kitchen plumbing. Like for everything in life, prevention is the best way to solve any problem. However, failures come up due to daily use and we need to find quality plumbing services in Oxford. Make sure you are hiring a certified plumber and the plumbing company counts with an insurance. Keep in mind the service you need and compare it with the professional experience. It is not the same repairing frozen pipes than the heating installation. Compare different plumber quotes before choosing one. Ask about the payment method and try to get a fixed price instead of hourly rates to avoid hidden costs in the final bill. At Infoisinfo we always work hard to be able to show you where to find the best products and services for you and your company in Oxford whatever your needs are. We know how stressful it might be to have a plumbing breakdown at home or the office, above all when there is an important leak and lot of water is being wasted. Then you need to find emergency plumbing services and we’d like to help you by offering you a list of the best plumbers in Oxford. 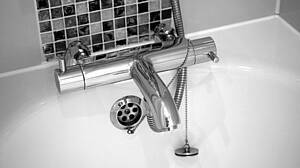 Experienced professionals with the best plumbing tools will solve your problems as soon as possible. Get in touch thanks to the contact details provided like phone numbers, websites, address and opening times. In addition, you can have a look at comments and valuations from other clients, what might be helpful for your choice.